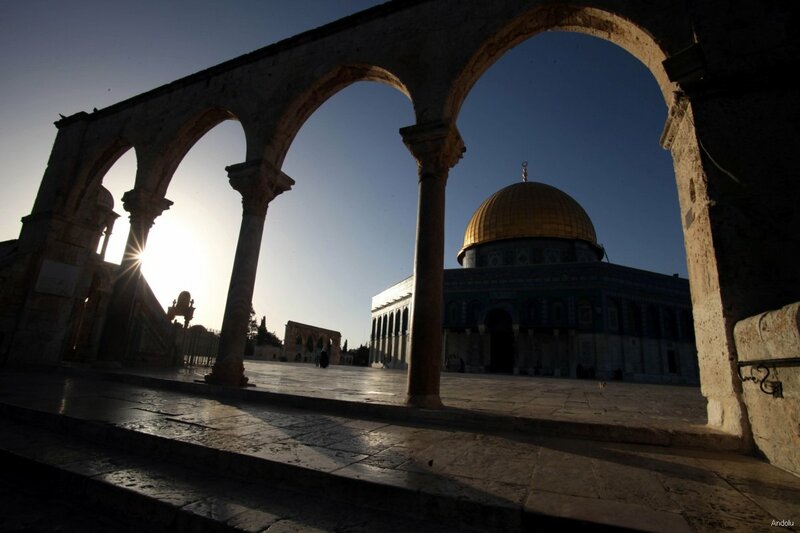 During the early days of Islam, Prophet Muhammad PBUH faced the Bayt al-Maqdis in Jerusalem during his prayers, just like the earlier teachings of the People of the Book (Jews and Christians). However, the Prophet possessed a higher spiritual attachment to the Kaaba, as the Kaaba was built by his great-grandfather, Abraham, to emphasize monotheism. So when in Mecca, the Prophet offered his prayers before the Maqam Ibrahim, because it is aligned to both the Kaaba and Bayt al-Maqdis. After the migration to Medina, the Prophet felt disheartened that he could no longer do the same thing, since the Kaaba is in the opposite direction. Out of politeness & refined manner, the Prophet did not supplicate for the change of direction, he just raised his head toward the sky before praying, but isn’t Allah The All-Knowing? The change was on the 15th of Shaaban, the 2nd year after Hijra in the middle of congregational prayer during in Medina.